The Pack 1221 Pinewood Derby will be held on Saturday, February 9th, 2019 at the Athens-Chilesburg Elementary gymnasium from 9AM to 1PM. Registration begins at 9AM and will end at 10am. Racing will begin at 10:15AM. Rules for the event are the same as in the past, but are available on the Pack website. Please adhere to the rules as they are written. All aspects of the vehicle will be inspected during registration and any who do not meet the rules (e.g. altered wheels or axles, lubricants, non-BSA materials, excess weight, etc. ) will not be permitted to race. Please use the wheels and axles supplied in the 2019 Pinewood Derby car kit. Consider purchasing extra wheels and axles for those at the Scout Store as backup in the event something goes wrong. Early registration is available until February 7th. Any registration after that must be done on-site, and will incur a late registration fee. The race entry payment will be collected during the race check-in /car inspection the morning of the race. Any registration requests after February 7th will be considered a late registrant and be required to pay the higher entry fee. Participants in the Cub Scout Race will be required to pay a $5 early / $10 late registration entry fee to race. Participants in the Outlaw Race will be required to pay a $10 early / $15 late registration entry fee to participate in the race. We will accept cash and checks. Weekly Cubmaster Update – November 5th, 2018. There are den meetings this Thursday (11/08/18) from 6:30-7:30. 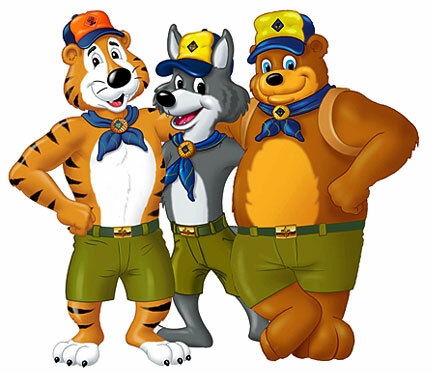 If you don’t hear from your den leader you may want to check in with them and see if you’re meeting. Registration fees are for returning scouts only. Your son is a returning scout if this is NOT your first year participating in scouting. If this is your first year participating in scouting, no matter what your scouts age is, then you are a new scout. The den dues go to help the den leaders pay for the materials and supplies needed to run your scouts den. The pack matches the den dues. Korinne and I will be setup at a table in the hallway to collect them from everyone during the next two den meetings (11/08 and 11/15). If you are meeting elsewhere please make arrangements to drop yours off at ACE. Make checks payable to Pack 1221 and you can write one check for everything. It was recently brought to our attention that there will now be a school event in the gym on the evening of December 13th, so we have decided to swap our December meetings. December 6th will be a pack meeting and December 13th will be a committee & den meeting. I’ve attached a revised schedule.